• Quick-Start™ One Button Start Up saves time. Pressing just one button starts the rotor, the heater, the timers and the vacuum pump. Three separate Quick-Start Buttons store one user-set program each. • Quick-Stop™ System. 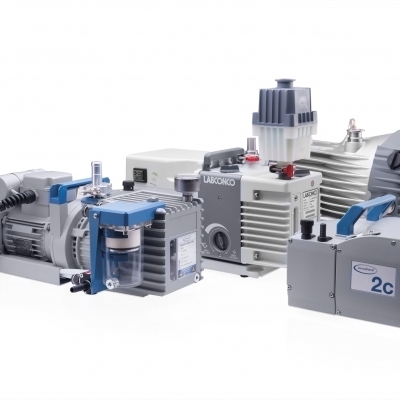 Once run time has expired or the RUN/STOP button is pressed, within seconds the vacuum pump stops, the valve opens to bleed air into the chamber, and the rotor stops. • Memory stores 9 user-set programs. Parameters of temperature, heat time and run time can be easily set with the touch of a few buttons. • Microprocessor-controlled 300-watt heater supplies a controlled amount of heat from OFF up to a maximum of 100 ° C in one degree increments. 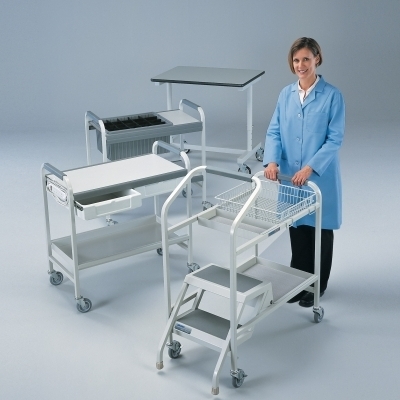 • Heat and run times are set separately, each from 1 to 999 minutes so that heat may be programmed to shut down sooner than the run to protect heat sensitive samples from excessive heat exposure after the solvent has evaporated. • Microprocessor-controlled centrifugal motion is provided by a brushless motor capable of achieving up to 1725 RPM. • Audible alarm signals completion of set point run time. 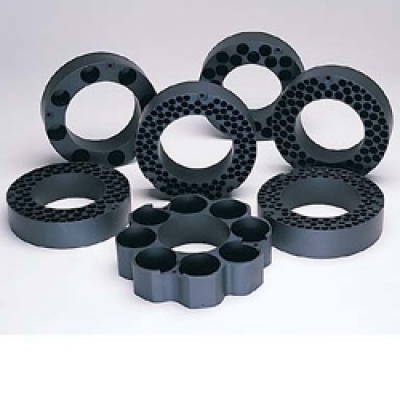 • Corrosion-resistant sample chamber accommodates a variety of rotors. • Versatile DNA Rotor is included. 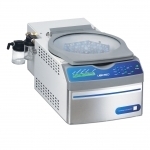 Accommodates up to 60 each 1.5 ml and 72 each 0.5 ml microcentrifuge tubes. • Integrated, corrosion-resistant diaphragm pump achieves vacuum of 29.6" Hg and has a pumping capacity of 34 liters per minute. 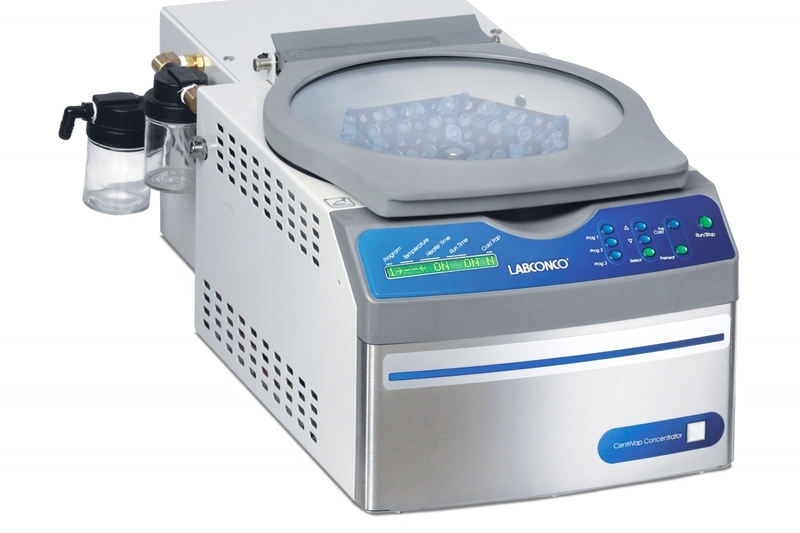 • Automatic vacuum release valve prevents loss of sample by releasing the vacuum before the rotor stops and during power failures. The new larger valve takes less time to release the vacuum. 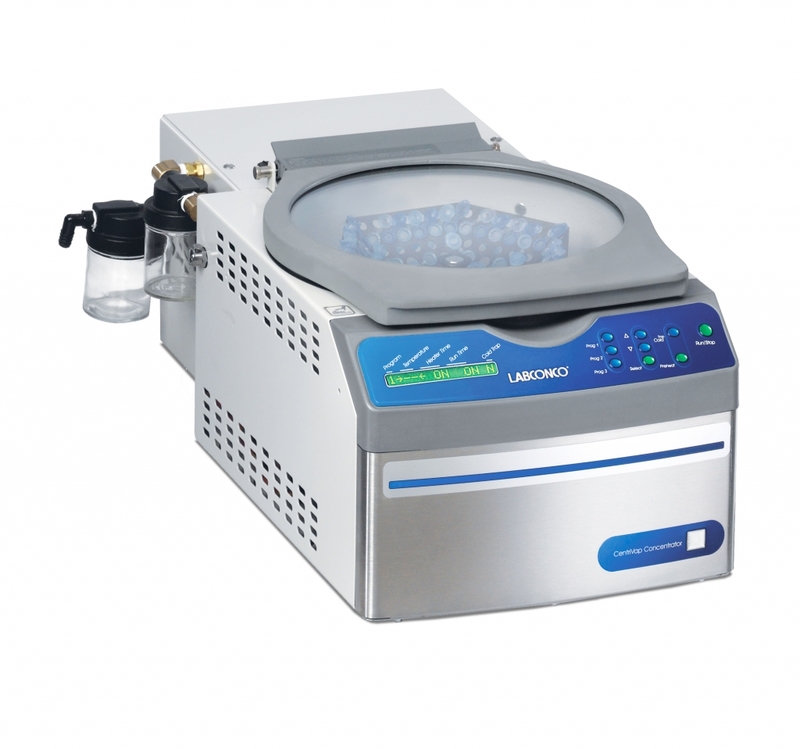 • Large phenol-free lid seal ensures good vacuum without potential for phenol contamination. • Lid latch with safety sensor locks the lid in place when the rotor is turning and prevents start up when the lid is open. 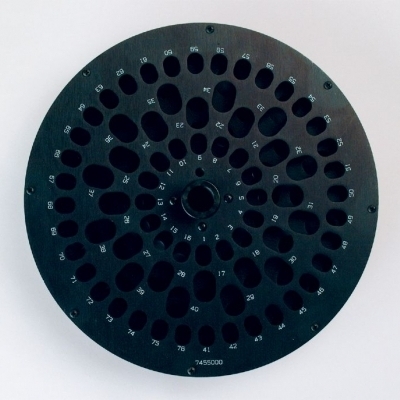 • Built-in vacuum delay prevents bumping by allowing the rotor to achieve speed before applying vacuum. • Audible alarm signals completion of set point runtime. • Easy-to-read LCD display prompts the user to set program parameters and displays program number, actual and set point temperatures, point heat, and run time remaining. 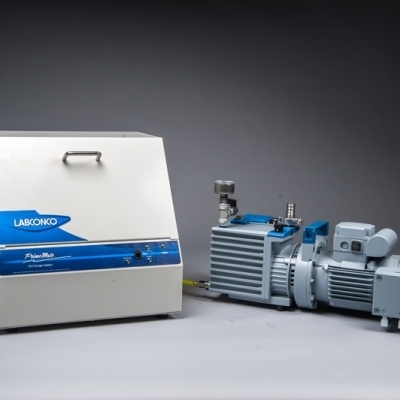 • Two 177 milliliter glass traps protect the vacuum pump and the environment. One is located between the chamber and the vacuum pump. The other is located at the pump's exhaust outlet. 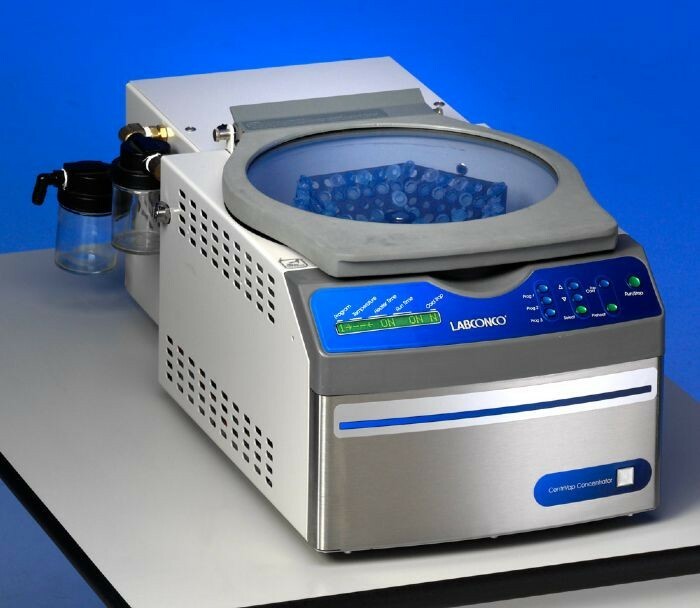 For validation of predetermined CentriVap DNA Centrifugal Vacuum Concentrator specifications. 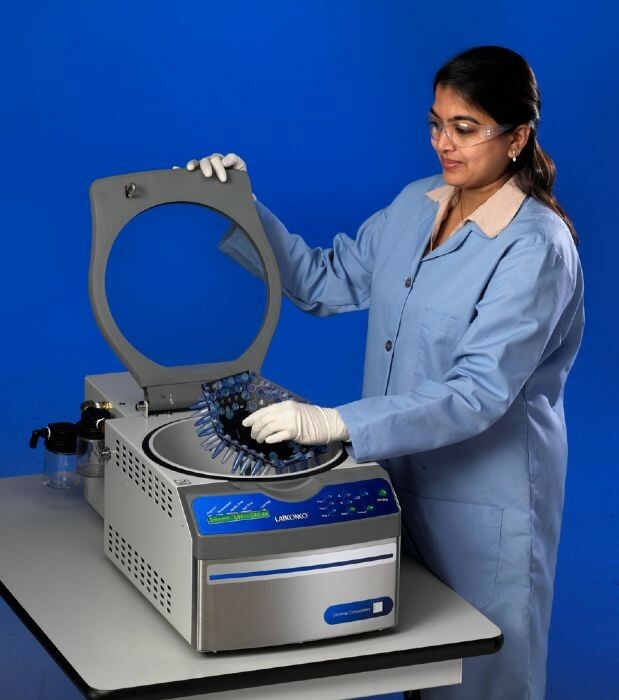 Provides a checklist of installation and operation qualifications to complete when beginning operation on new or used CentriVap DNA Centrifugal Vacuum Concentrators.